Installed a 2x Barlow (this multiplied the 714mm focal length to 1428) to see what would happen. This is one of the test images that I liked, so put it on the site. 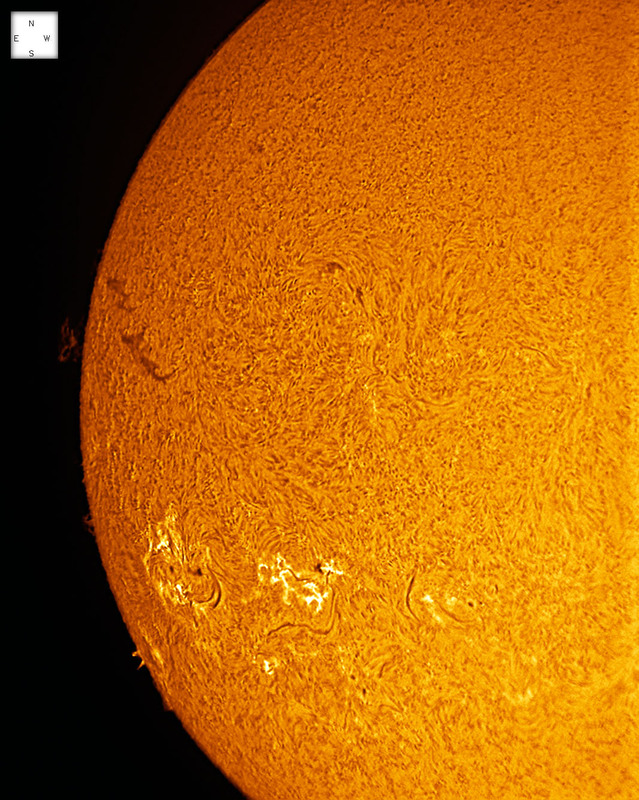 Scope and f/: Lunt LS100THa (Hydrogen-Alpha filtered) with BF1800 at f/7 (now at f/14 with the Barlow). Reinstalled the DSII (double stack filter).